Life's a Beach | Expat Life in Playa del Carmen : Big News in Little Playa! I've been getting quite a few messages over the past few weeks, Life's a Beach readers wondering “What's up?”. As many of you also follow this blog on Facebook and Twitter, you have undoubtedly seen the cryptic messages….the suggestion of clandestine meetings....rumors of a secret society. Finally, on Monday, all was revealed. Just over a month ago, my dear friend Sara Moen approached me with an invitation. 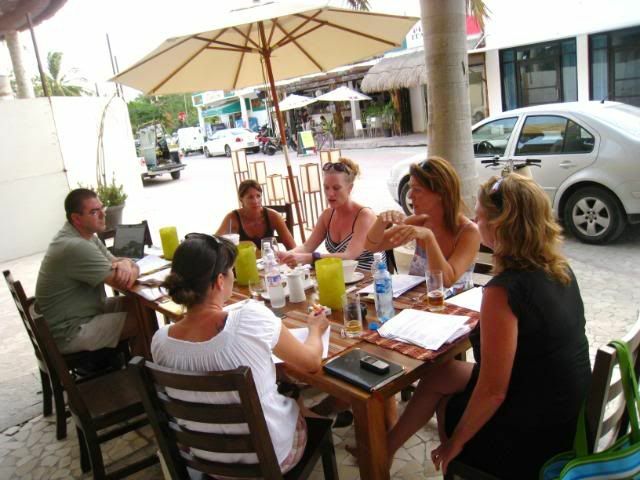 She and local business woman Nicola Inwood were planning a new exciting event to be held in Playa del Carmen. Of course, I was curious and agreed to attend the first committee meeting to investigate further. Uncertain who else would be involved and the scope of the event, I was understandably anxious about this first gathering. Having years of experience working on fundraisers and steering committees in the United States, I was familiar with the process and aware of the commitment required. My concerns lay in the logistics and the dedication of the other volunteers. When the first meeting convened, I was met with familiar faces, friends and fellow business women all. This eclectic group, thoughtfully selected by Sara and Nicola, would certainly be up to the task at hand, no matter what it was! The proposal was this: create, from the ground up, Taste of Playa, a culinary festival the likes of which had never before been attempted in Playa del Carmen. 35 local chefs and specialty food merchants gathering to offer their signature dishes, the flavors that define them as world class chefs, to the residents and visitors of the Riviera Maya. In a previous life, Nicola had participated in the Toronto Taste, an annual fund raising event which supports Second Harvest. Taste of Playa would be modeled after this successful event. The festival would be open to everyone with food “samples” available for purchase from the various chefs and restaurateurs on hand. 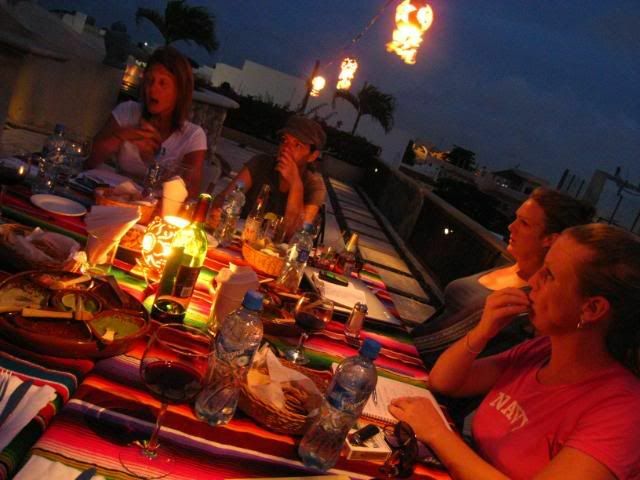 After some collaboration with the Riviera Maya Board of Tourism, the date was settled on, September 5, 2009, just three months away. How on earth could we pull all this together in such a short time? A clear vision and mission agreed upon, the group was then charged with compiling a preliminary list of potential participants. I an effort to maintain the integrity of the event and prevent the logistics of this inaugural event from getting out of hand it was reluctantly but unanimously decided to limit the number of restaurants, beverage purveyors and specialty food vendors to a manageable number. With all the culinary talent in Playa, this task would prove to be difficult and one we would likely struggle with for the next two months. Our Restaurant and Marketplace Coordinators, Melissa Meno and Sherry Stevens, have risen to the occasion, enticing local chefs to participate in this fledgling festival and organizing their efforts to help ensure, not only the success of the event, but the success of each individual participant. Planning a full scale community event in the US is complicated and time consuming. How on earth would we pull this off in Mexico? The logistics were daunting to me but not to Director of Operations, Monica Hartlief. She has embraced this project with the same gusto she exhibits rising to the daily challenges that face entrepreneurs in a foreign land. After some deliberation and a field trip, The newly renovated Parque Fundadores was selected as our preferred location, a decision that would now require stamps and signatures from the local municipality. Monica had her work cut out for her from the start! We seemed to have things well in hand. But who would attend our event? How would anyone ever know to come? This, dear readers, is where yours truly jumps into the fray. 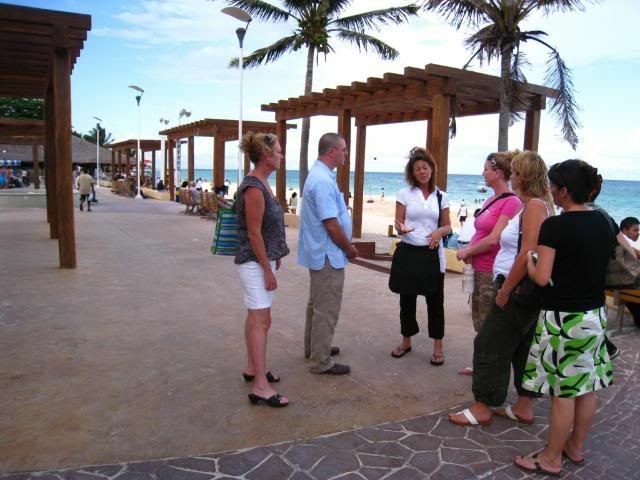 I am tackling the daunting job of Marketing and Promotion for Taste of Playa 2009. With the collaboration of the whole committee and a remarkable effort by Gabi Waldert, our creative and detail oriented Graphics Coordinator, a spectacular marketing piece was created to show the Playa community and the world just what kind of world class event we were planning to execute. With the help of Nicola and Sara, a comprehensive local, national and global marketing plan was conceived. The long awaited media blitz kicked off on Monday with press releases and, as you have seen, a fairly aggressive online campaign. In our quest to make this event fun and memorable, not only for the attendees but for the chefs and merchants as well, we have conferred with industry consultant, Russell Granger, to guide us as we pursue this lofty endeavor. Russell has been a font of knowledge, a calming force and a voice of reason for this team of fiercely independent, sometimes stubborn and opinionated women. We thank him for his wisdom and his deserts and for letting us conspire on his rooftop, often late into the evening. Collectively, the committee has already solicited significant corporate sponsorship for Taste of Playa. Bric International, and our own Buy Playa Real Estate Advisors quickly jumped in to fill the Platinum Sponsorship positions. Just today, we have had several more local businesses throw their support behind Taste of Playa – 1st Annual Sampling. Those announcements will be coming soon! So, this is the beginning of the Taste of Playa story. I hope you will all follow along with the “making of” this exciting event by reading the Taste of Playa Blog. I’ve got great contributing writers to help me with this task, each one eager to tell their own Taste of Playa tale. For up to the minute (well, almost) information, follow us on Facebook and Twitter. Most importantly, come to Taste of Playa 2009. Bring your friends and your appetite! # re: Big News in Little Playa! WOW - you ladies (and a man) did a fantastic job! I took a peak at the website, and it looks incredible!! I'll definitely post something on my blog about this!!! Thanks Lauren!! 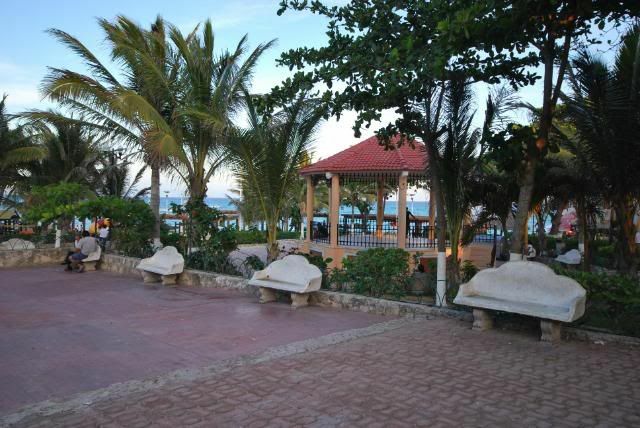 I hope you will be able to make it down here for Taste of Playa. Bring all of your friends!! I just discovered your website and I love it!! Thank you Sophie! I hope you will be able to make it to Taste of Playa this Saturday Sept. 5th! !